It is the dominant local/regional evening paper for London and the surrounding area, with coverage of national and international news and City of London finance. In October 2009, the paper ended a 180-year history of paid circulation and became a free newspaper, doubling its circulation as part of a change in its business plan. The newspaper was founded by barrister Stanley Lees Giffard on 21 May 1827, as the Standard. The early owner of the paper was Charles Baldwin. Under the ownership of James Johnstone, The Standard became a morning paper from 29 June 1857. The Evening Standard was published from 11 June 1859. The Standard gained eminence for its detailed foreign news, notably its reporting of events of the American Civil War (1861–1865), the Austro-Prussian War of 1866, and the Franco-Prussian War of 1870, all contributing to a rise in circulation. By the end of the 19th century, the evening edition eclipsed its morning counterpart, which folded. At the turn of the century it was owned by Sir Edward Hulton, who decided to make the paper compete with the fledging Daily Mail. He also introduced the gossip column Londoner's Diary, originally billed as "a column written by gentlemen for gentlemen". In 1923, Lord Beaverbrook, owner of the Daily Express, bought Hulton's newspapers, although he sold them shortly thereafter to the Mail's owner Lord Rothermere, with the exception of the Standard. It became a staunchly Conservative paper, harshly attacking Labour in 1945 in a high-profile campaign that ultimately backfired. In the 1960s the paper was now upstaged by the Evening News, which sold over 1 million copies nightly. During the decade, the paper also began to publish the comic strip Modesty Blaise that bolstered the paper's sales throughout the 1970s. Express Newspapers merged the Standard in 1980 with the Evening News in a Joint Operating Agreement with Associated Newspapers' Evening News, becoming known as the Newstandard until 1985 when Associated Newspapers bought out the remaining stake, turning into The Standard. In 1987 the Evening News was briefly revived to compete with Robert Maxwell's London Daily News, reverting into the Evening Standard. In 1988 it incorporated the byline "Incorporating the 'Evening News'", which remained until the paper's sale in 2009. Previously there were three editions each weekday, excluding Bank holidays. The first, "News Extra", went to print at 10:00 am and was available around 11 am in central London, slightly later in more outlying areas (such as Kent). A second edition, "West End Final", went to print at 3 pm, and the "Late Night Final" went to print at 5 pm and was available in the central area from about 6 pm There was often considerable variation between the editions, particularly with the front page lead and following few pages, including the Londoner's Diary, though features and reviews stayed the same. The page changes were indicated by stars in the bottom left-hand corner of each page: two stars for the second edition, three stars for the third. In January 2010, circulation was increased to 900,000. The newspaper's editor is Sarah Sands, who replaced Geordie Greig following his departure to the Mail on Sunday in March 2012. Veronica Wadley was the newspaper's editor between 2002 and 2009. Max Hastings was editor from 1996 until he retired in 2002. The Evening Standard, although a regional newspaper for London, also covers national and international news, though with an emphasis on London-centred news (especially in its features pages), covering building developments, property prices, traffic schemes, politics, the congestion charge and, in the Londoner's Diary page, gossip on the social scene. It also occasionally runs campaigns on local issues that national newspapers do not cover in detail. It has a tradition of providing arts coverage. Its most well known visual art critic is the late Brian Sewell. Sewell was noted for his acerbic view of conceptual art, Britart and the Turner Prize and his views attracted controversy and criticism in the art world. He has been described as "Britain's most famous and controversial art critic". "systematically biased in the way that headlines and news stories were framed, selected and prioritised. This is all the more concerning because bias was concentrated in relatively prominent headlines and in news reports where readers are less likely to expect opinion to be mobilised." There were almost twice as many positive headlines about the Conservative candidate, Zac Goldsmith, than for his Labour rival, Sadiq Khan, with stories exhibiting the strongest bias against Khan also being the most prominent. 13 out of 15 official press releases from the Goldsmith campaign in the two months to 12 April were published as news stories in the paper, "reproducing headlines from the news release virtually verbatim", according to the study. 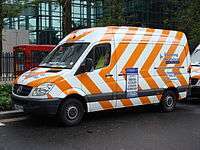 In August 2006, the freesheet was relaunched as London Lite. It was designed to be especially attractive to younger female readers, and featured a wide range of lifestyle articles, but less news and business news than the main paper. It was initially only available between 11.30 a.m. and 2.30 p.m. at Evening Standard vendors and in the central area, but later became available in the evening from its street distributors. With the sale of the Evening Standard, but not the London Lite, to Alexander Lebedev on 21 January 2009, the ownership links between the Standard and the Lite were broken. On Fridays, the newspaper includes a free glossy lifestyle magazine, ES (originally the Evening Standard Magazine, circulating on Saturdays until 1974), and the circulation was increased to 350,000 in September 2014. This has moved from more general articles to concentrate on glamour, with features on the rich, powerful and famous. On Wednesdays, readers can pick up a free copy of the Homes & Property supplement, edited by Janice Morley, which includes London property listings as well as articles from lifestyle journalists including Barbara Chandler, Katie Law and Alison Cork. The paper also supplies occasional CDs and DVDs for promotions. It also give Londoners a chance to win exclusive tickets to film premieres and sports tournament tickets, such as the Wimbledon Ladies Singles Final. ↑ Brook, Stephen; Sweney, Mark (21 January 2009). "Alexander Lebedev's Evening Standard takeover: Dacre announces sale to staff". The Guardian. London. Retrieved 21 January 2009. 1 2 "London's 'Evening Standard' To Become Free Paper" Archived 4 October 2009 at the Wayback Machine.. Editor & Publisher. 2 October 2009. ↑ "Concise History of the British Newspaper in the Nineteenth Century". British Library. 2000. Retrieved 15 January 2010. ↑ Encyclopaedia Britannica Eleventh Edition; Cambridge University Press, 1911, Vol. XIX, Mun to Oddfellows; Article on Newspapers, pp.544–581. ↑ "Ex-KGB Spy Buys UK Paper for £1". BBC News. 21 January 2009. Retrieved 21 January 2009. 1 2 Sweney, Mark (26 November 2009). "London Evening Standard Drops Noon Edition and Cuts Jobs". The Guardian. London. Retrieved 31 March 2012. ↑ Greenslade, Roy (4 May 2009). "Evening Standard Launches Ad Campaign To Say Sorry to Londoners". Greenslade Blog (blog of The Guardian). Retrieved 4 August 2012. ↑ "Ex-Editor Wadley Criticises Standard's 'Pravda-Style' Relaunch". Brand Republic. 11 May 2009. ↑ Brook, Stephen (11 May 2009). "London Evening Standard Relaunch – Who's Sorry Now?". Organ Grinder Blog (blog of The Guardian). Retrieved 4 August 2012. ↑ Brook, Stephen (27 May 2009). "London Evening Standard Revamps Sport Pages". The Guardian. London. Retrieved 31 March 2012. ↑ "Evening Standard To Be Free Paper". BBC News. 2 October 2009. ↑ Busfield, Steve (15 February 2010). "How Much for a 'Free' London Evening Standard? 50p in Some Shops". Greenslade Blog (blog of The Guardian). Retrieved 4 August 2012. ↑ "Evening Standard No Longer Free In Some Parts". Londonist. 15 February 2010. 1 2 "'Evening Standard' Wins Top Awards". The Independent. 30 October 2010. Retrieved 30 October 2010. ↑ "Evening Standard Wins Newspaper of the Year Award". Press Gazette. 15 May 2011. Archived from the original on 12 January 2012. Retrieved 15 May 2011. ↑ Sabbagh, Dan (30 March 2012). "Sarah Sands Is New Editor of London Evening Standard". The Guardian. London. Retrieved 31 March 2012. ↑ "Ex-Evening Standard Editor Veronica Wadley's Verdict on Paper's New Regime". The Guardian. London. 11 May 2009. Retrieved 31 March 2012. ↑ Tresidder, Megan. "The Megan Tresidder Interview", The Guardian (London), 19 November 1994; retrieved from News UK (pay site), 11 August 2010. ↑ White, Michael (16 April 2008). "As Polls Move Towards Ken, Evening Standard Seems Rattled". Politics blog. The Guardian. Retrieved 27 April 2009. ↑ "David Cameron: The Prime Minister That London Now Needs". London Evening Standard. 5 May 2010. Archived from the original on 7 May 2010. 1 2 "Vote for London: The Standard urges readers to think of what's best for the capital... and support the Tories in the election". London Evening Standard. 5 May 2015. 1 2 Martinson, Jane (27 April 2016). "London Evening Standard is 'Tory mouthpiece' – research". The Guardian. Retrieved 27 April 2016. ↑ Cozens, Claire (10 December 2004). "Media buyers voice fears over 'downmarket' free Standard". The Guardian. Retrieved 1 June 2015. ↑ Brook, Stephen (25 August 2006). "Some Lite relief". The Guardian. Retrieved 1 June 2015. ↑ Brook, Stephen (5 October 2009). "Associated Newspapers backs Evening Standard decision to go free". The Guardian.